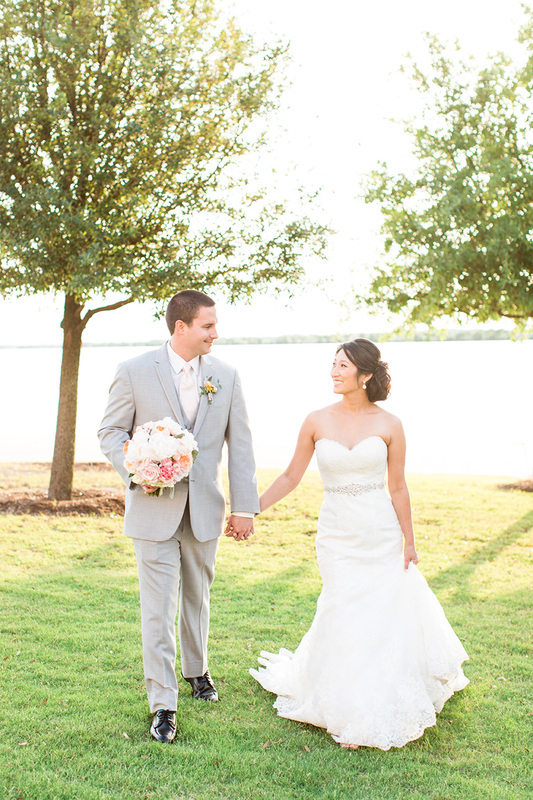 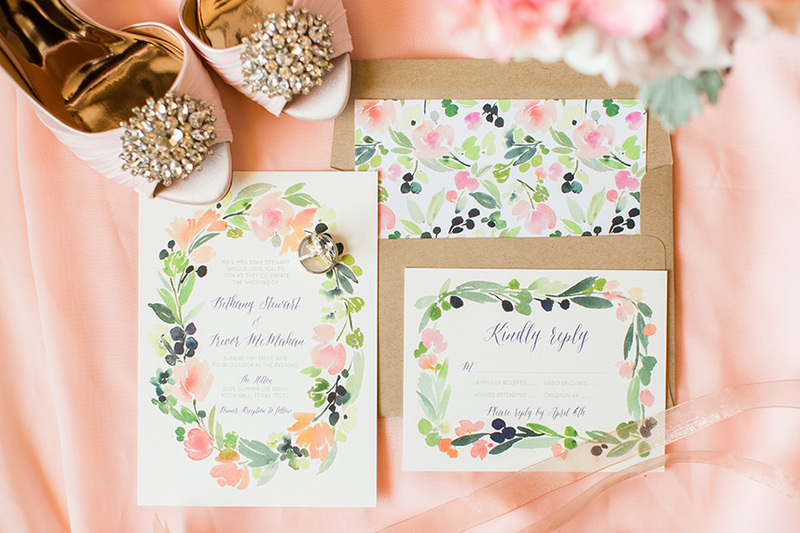 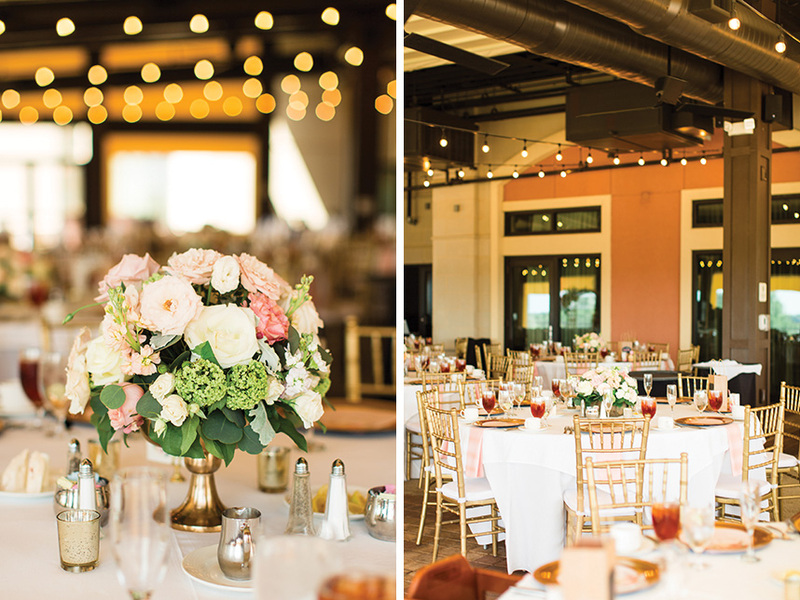 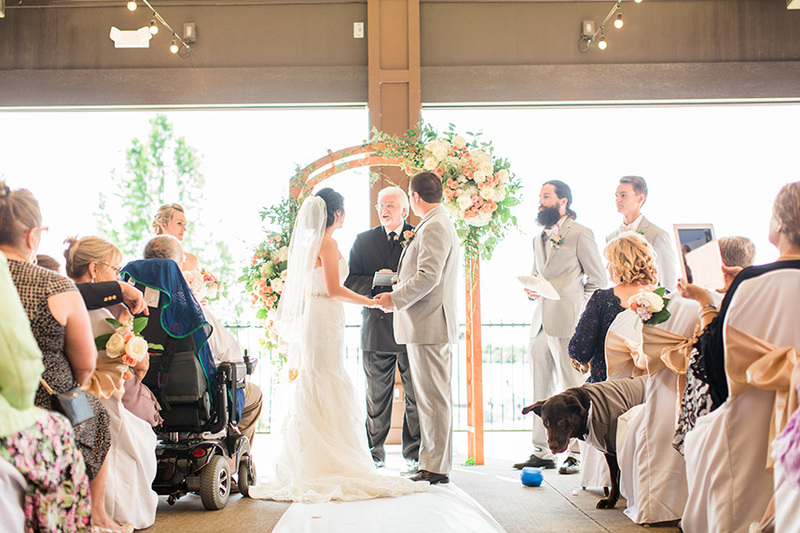 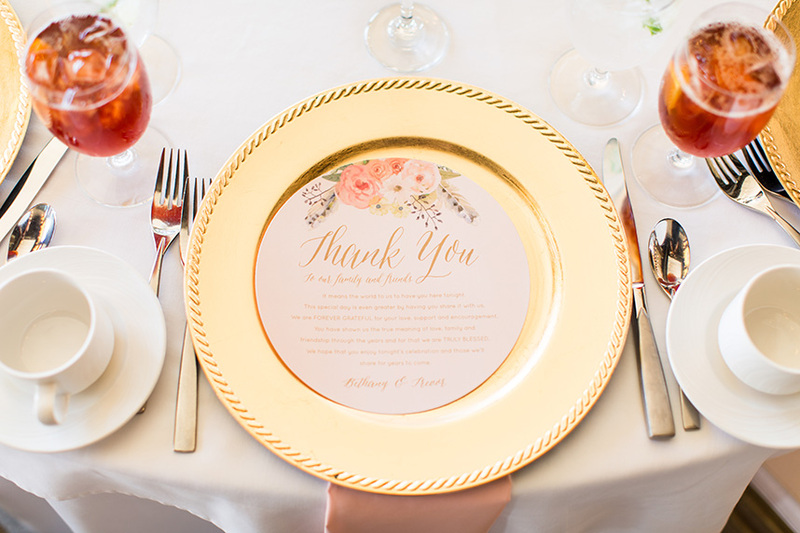 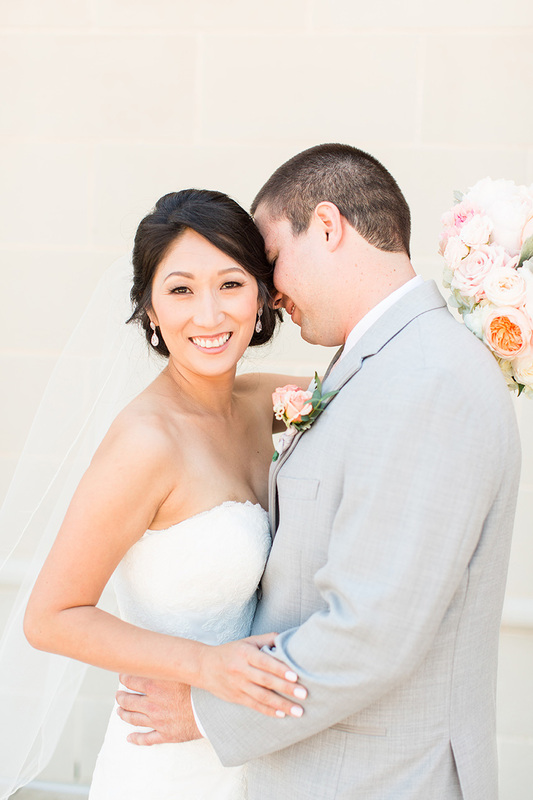 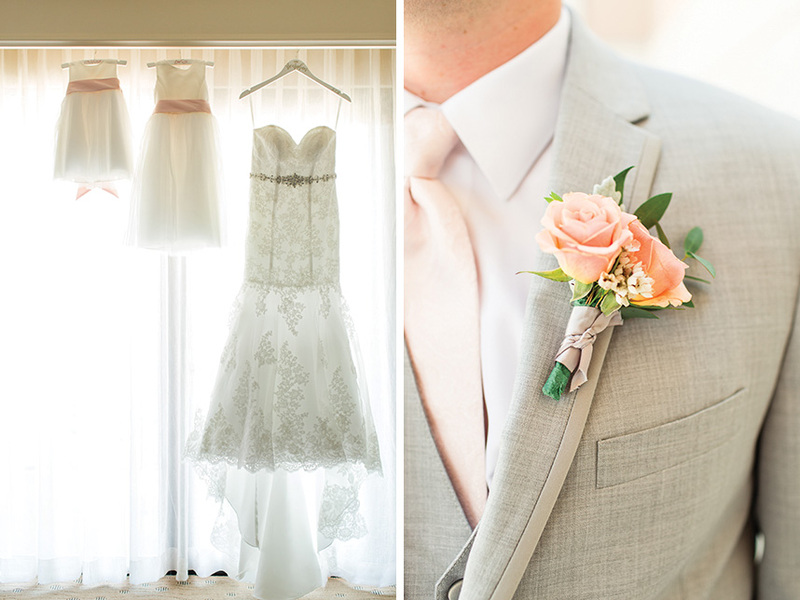 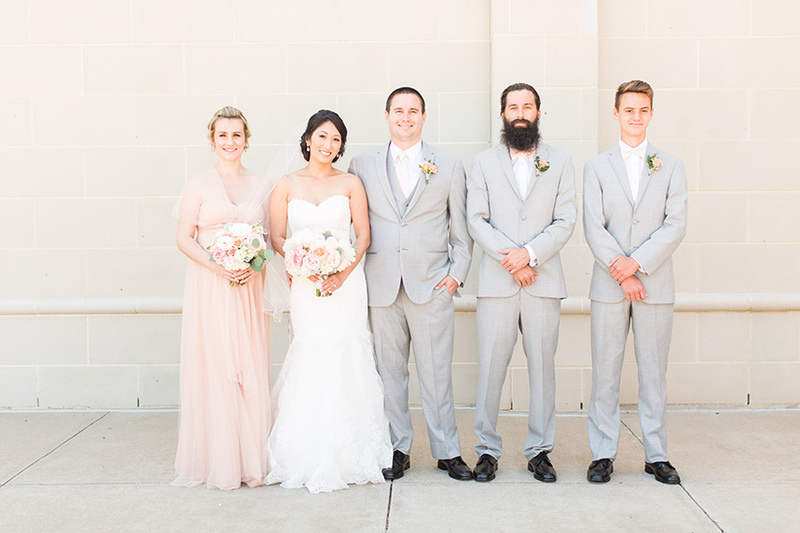 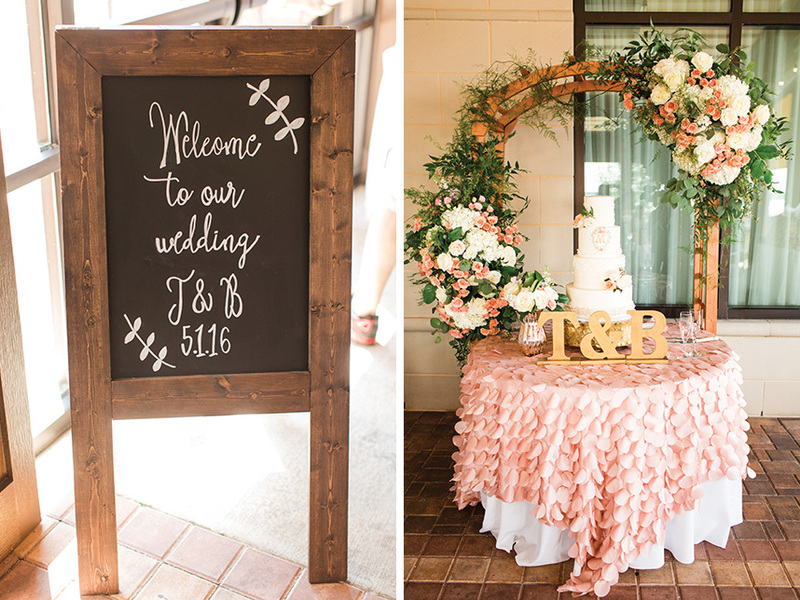 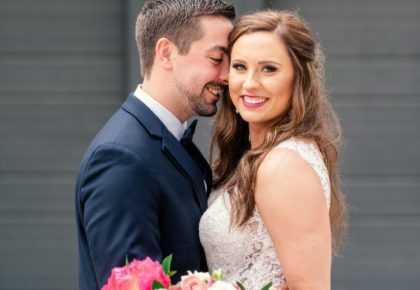 We couldn’t help but share Bethany and Trevor’s romantic spring wedding captured by Kylie Crump Photography. 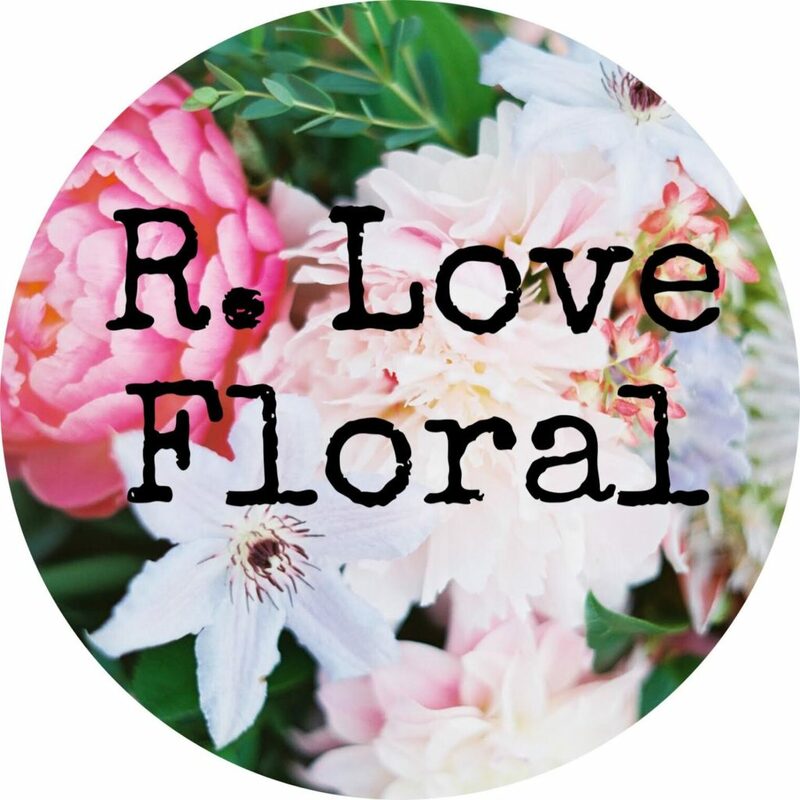 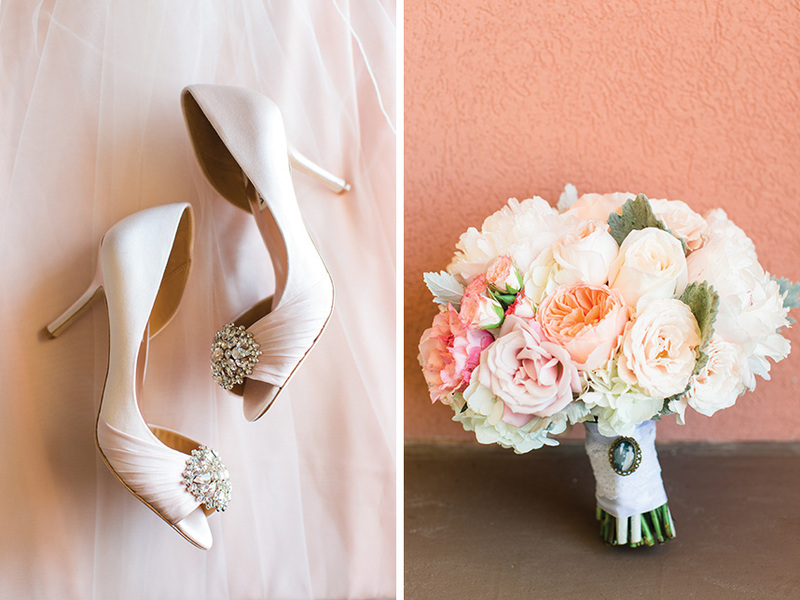 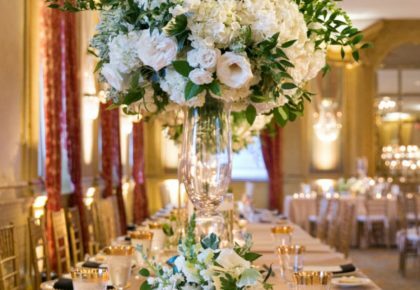 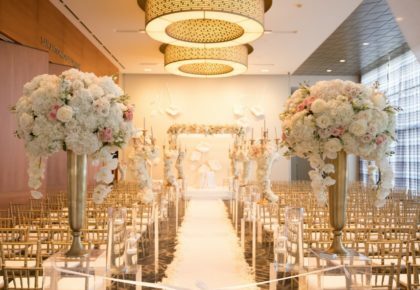 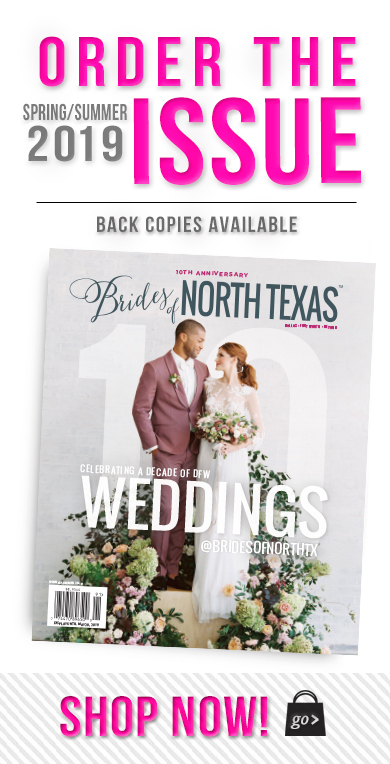 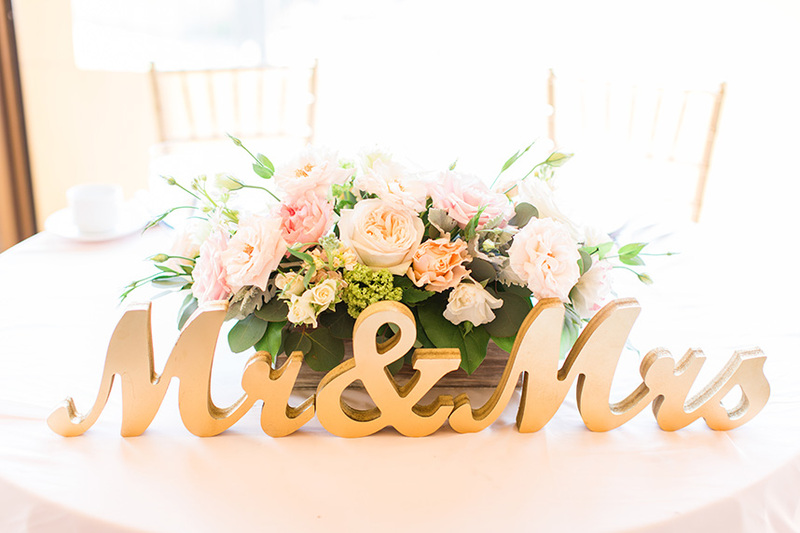 The flower arrangements by R Love Florals overflowing in elegant hues of peach, blush and ivory are absolutely stunning! 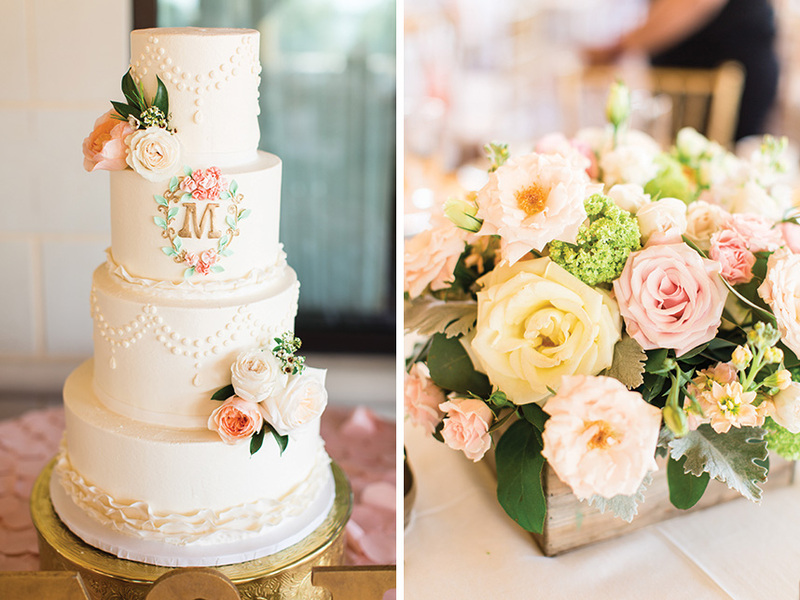 Not to mention the gorgeous wedding cake by Sugar Bee Sweets Bakery that left us feeling inspired – and hungry! 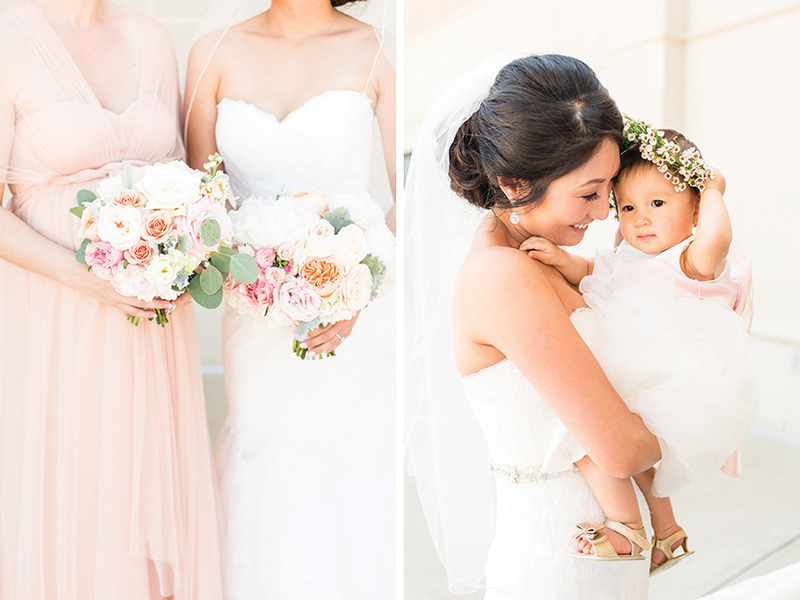 The beautiful bride and groom, accompanied by the couple’s adorable daughters and flower girls, made this spring affair full of love and family!